Dear Guest(s), we welcome you! Our Member or the organization behind your invitation is pleased that you have accepted to take advantage of the exceptional amenities offered by Club Laval-sur-le-Lac, and wishes you a pleasant visit. Upon arrival, a valet parking service is available to park your vehicle and place your golf equipment on a golf cart. If you wish, a car wash service is offered. To avoid any inconvenience, we invite you to read our general rules regarding the use of cell phones as well as our dress code presented below. We have a strict rule regarding the use of cell phones; we recommend that you switch off the ringtone and place your device on "vibrate mode" upon arrival. Also, wearing denim, regardless of colour, is prohibited on Club property. Thank you for your collaboration! The use of cell phone voice features is prohibited on Club property, except in telephone booths and moderately in the locker room. Any form of ringtone is strictly prohibited everywhere in the club. Sending and reading e-mails and text messages is allowed. 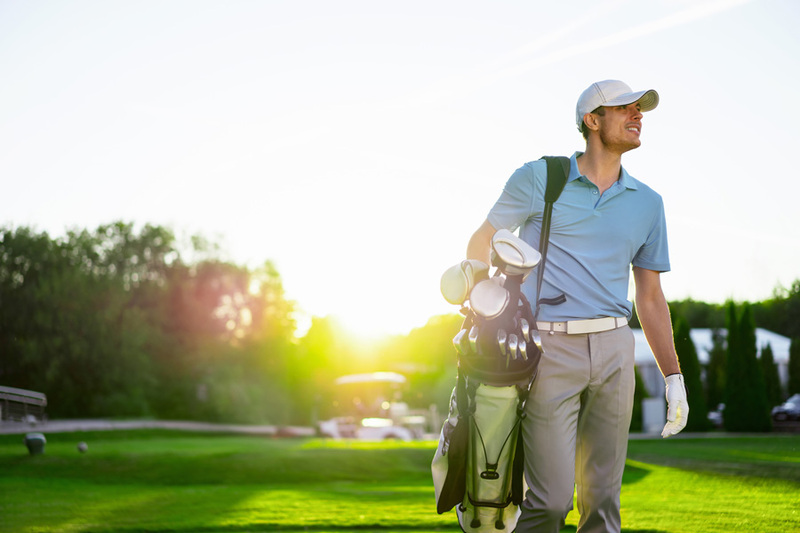 All members and their guests must be properly dressed upon their arrival on Club property (including in the parking lot, the clubhouse, on the course and at the driving range). It is forbidden to wear jeans or any denim clothing, regardless of colour, at all times. “Safari”, “rugby”, “jogging” and “cargo” type pants are not allowed at any time. It is forbidden to wear clothes bearing the logo or colours of a non-golf related organization. Logos on clothing must be low-key and tasteful. Only soft-spiked golf shoes are allowed on the course. In addition, it is forbidden to wear running shoes on Club property. It is forbidden to wear caps, visors or hats in the clubhouse or on the terrace. It is forbidden to wear a cap with a raised visor backward. 1. Only collared golf shirts or cardigan and turtleneck or much turtleneck sweaters are accepted. Such clothing must be worn tucked into the pants or Bermuda shorts at all times. It is forbidden to wear Mao collar t-shirts. 2. Bermuda shorts may be worn, as long as they are not shorter than three (3) inches above the knee and accompanied by knee-high golf or ankle socks no higher than the top of the ankle. It is forbidden to wear three-quarter length pants. 3. It is forbidden to wear sandals on Club property. Collared sweaters with or without sleeves may be worn. T-shirts must have sleeves. These sweaters must be tucked inside the pants, skirts or shorts. However, the polo shirt designed to be worn outside the trousers, skirt or Bermuda shorts, and must have a fitted cut and cover the hips without falling under the buttocks or riding up during the swing.